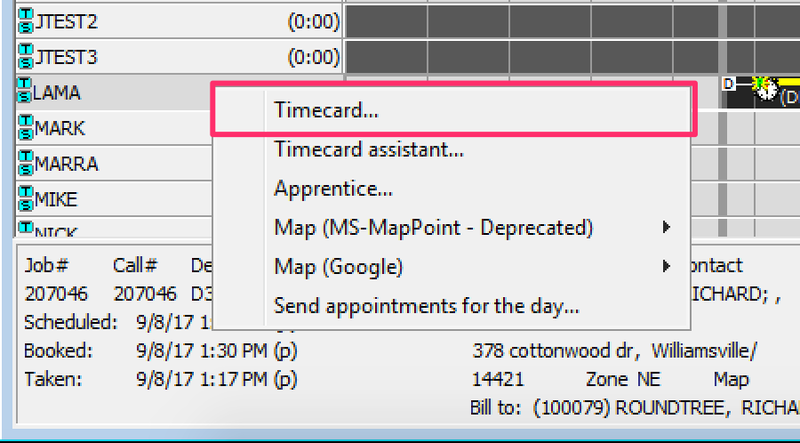 SuccessWare21 requires timecard punches to be in proper sequence and in chronological order - for example, attempting to go straight from Dispatched on one job to Dispatched on another job will cause a timecard error. 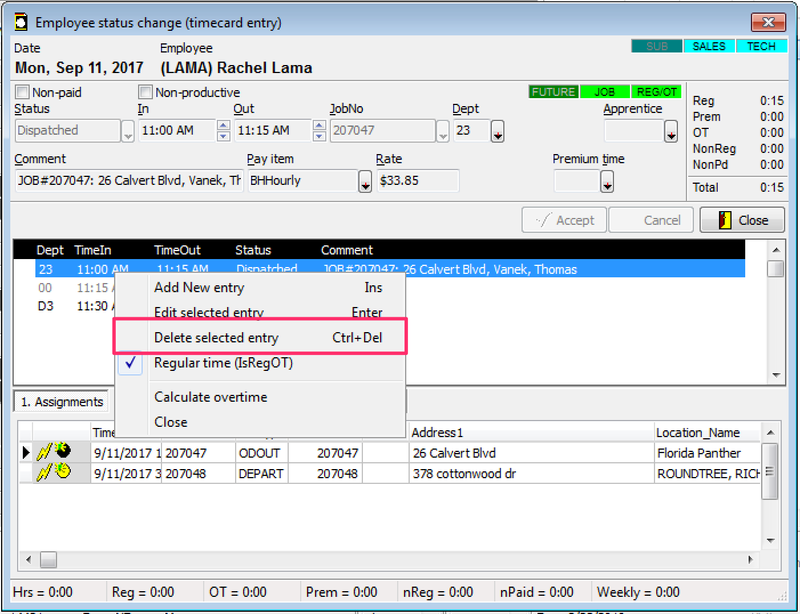 Right-click the technician's name on the call board and choose Timecard. Click the Modify button on the right-hand side. *Note-If the technician tries to perform a Lunch Punch before getting Onsite, this error will occur. 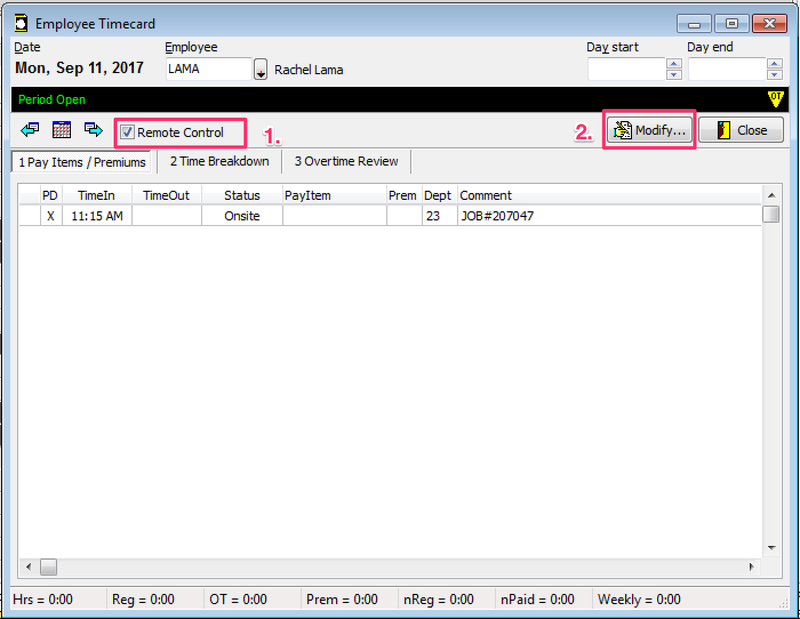 ***Please note: It is not advised to populate or change a Technicians timecard before or while they are currently working through a job. To avoid Errors for the Techs so they can effortlessly walk through their jobs, please make any changes after the Tech completly finishes their job. 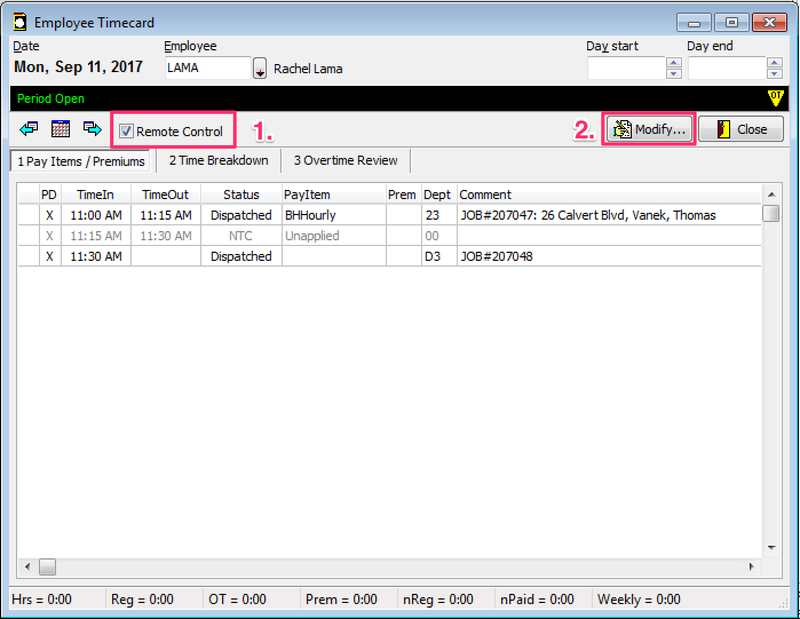 ***Please note: It is not advised to populate or change a Technicians timecard before or while they are currently working through a job. 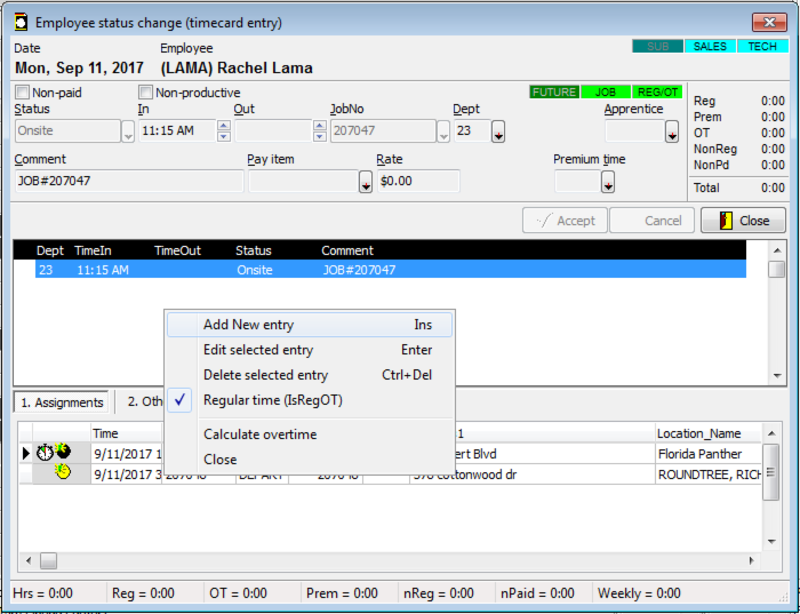 To avoid Errors for the Techs so they can effortlessly walk through their jobs, please make any changes after the Tech completely finishes their job.